<!-NormanLindsay. 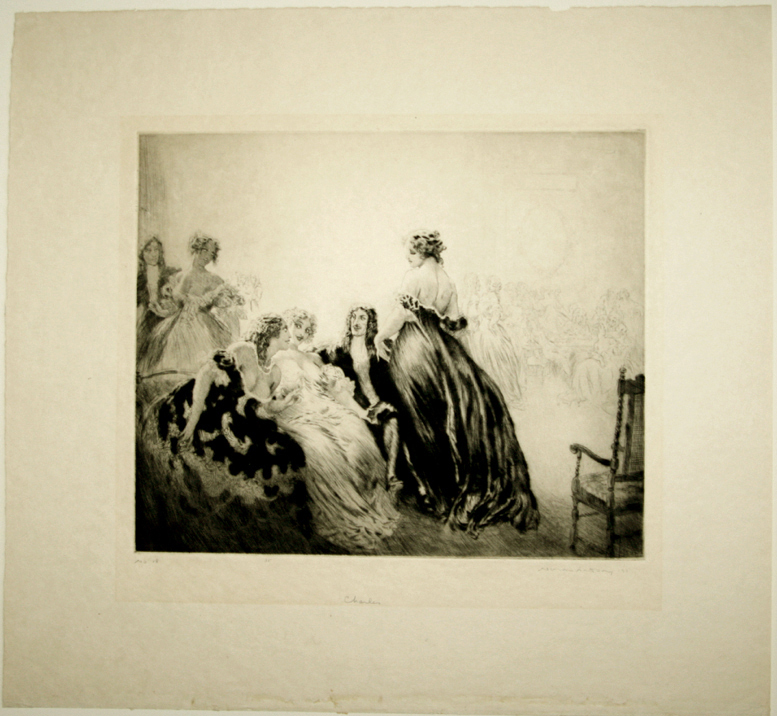 1874-1961--> Norman Lindsay. Charles. 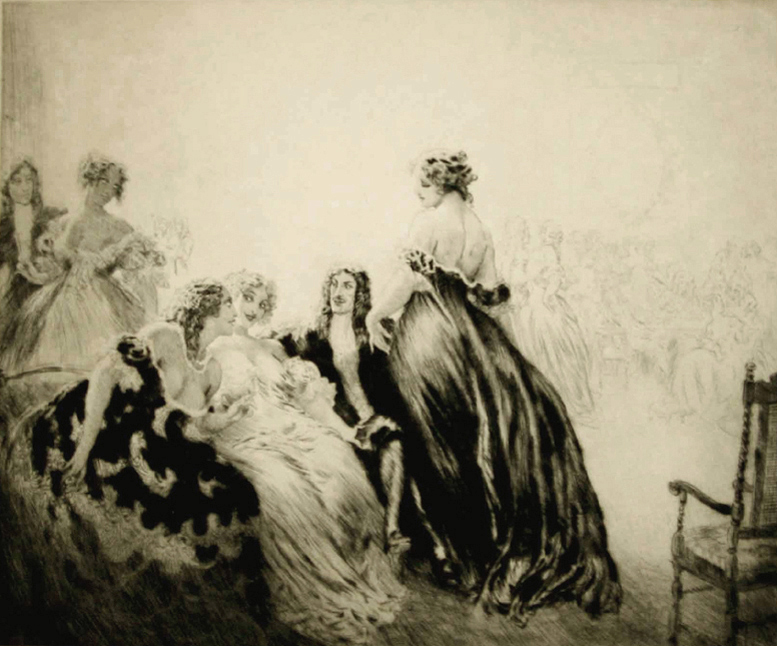 Norman Alfred William Lindsay. Australian. 1879-1969. Charles. 1926. Drypoint. Bloomfield 283. 10 1/4 x 12 3/8 (sheet 17 1/4 x 18 3/8). Edition 38, #18.Slight mat toning and glue stains along the bottom sheet edge, well outside the image. A rich, glowing impression printed on simili-japon with full margins. Signed, titled and numbered in pencil. $3,500. To order, to report broken links or to be placed on the email list, please contact Jane Allinson (jane@allinsongallery.com).